Choosing Your Calgary Custom Home Builder You’ve made the decision to build your dream home. Congratulations! It’s a big step, and you’re about to embark on a fun and exciting project. Choosing the right builder can be an intimidating process. You want your home custom-built to certain specifications, and you’ve started to compare Calgary homebuilders to see who may work best for you. To assist in the process, Fine Line Homes presents the following few points to look for when browsing through builders. For the services and materials offered, the price of your new custom home should be reasonable based on the current market. Make some evaluations across the board. How do homes already existing in the area compare for size and cost? Materials are important as well. For example, the quality of the materials used can greatly affect the final quality of your home. Fine Line Homes are built using cutting-edge building techniques and materials that come with ironclad warranties and will make your home structurally sound and easy to maintain. 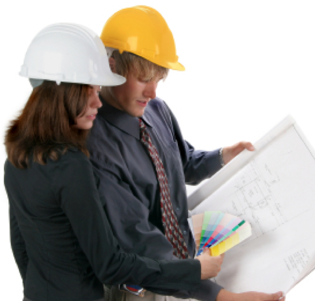 A qualified builder should be well versed on up-coming trends and materials in the building industry. New types of insulation, flooring, heating and window systems allow for strong homes that save in the long run. A builder should also be aware of various building codes, and run a safe construction site that is clean and well managed. A highly organized builder does a better job at meeting deadlines and working within a budget. While building a home is a fun and exciting project, at times, it can also be stressful. A caring builder understands what you and your family are experiencing and is concerned about you, your budget, and the realization of your vision. The right builder will exhibit honesty and integrity and is one with whom you feel you can build a long-term, lasting relationship with. Ultimately, the right builder will lead you to a successful completion of your project by being there for you every step of the way. Find out how long the company has been in business and whether they are licensed and fully insured. Ask whether they use sub-contractors or employees. If the builder uses sub-contractors, it’s also important that they’re licensed and insured as well. Find out whether the company designs the homes they build or works with architects. If they use architects, which ones do they use, and why? Is the architect on staff or available for questions? Are they a member of the BBB or a Home Building Association? Are they willing to provide you a list of references? Find out how many projects are currently in the works and whether they have the time to work with you to complete your vision. Most importantly, ask to see completed projects so you can see at the finish quality yourself. Fine Line Homes understands your concern for the environment as well as your desire to save on rising energy costs. We want to build smarter. Our mission is to be one of the most energy-efficient homebuilders in Canada, and also to offer the most beautiful custom home we can build to each and every client. You’re entitled to the best we can offer, and we believe you can have your dream home custom-built to your specifications, while at the same time drastically reducing your impact on the environment. Please contact us through our website or call us toll free at: 1-866-945-2939. We look forward to hearing about the new home you envision!